Devendra Fadnavis - What lies ahead for Maharashtra's New CM? The political rise of the modest former Mayor of Nagpur, Devendra Fadnavis, has been swift and dramatic. With the BJP bagging the largest chunk of seats in the recent Maharashtra Assembly elections, after having parted ways with the mighty Shiv Sena in the run-up to the polls, and bickering continuing even afterwards, the onus was on the BJP to select a Chief Minister who would be acceptable to all. 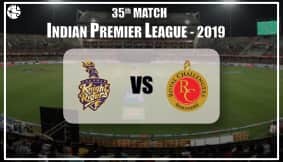 They chose relatively younger Fadnavis, who won the vote of confidence within the party, but not without controversy, the dust on which has still not settled. At the age of 21, Fadnavis became the youngest municipal corporator in Nagpur. At 27, he became the city's Mayor. And now, at the age of 44, he has become the 18th Chief Minister of the West Indian State of Maharashtra. Without the unconditional support of the Shiv Sena, this time, there undoubtedly are challenging times ahead for Fadnavis and his cabinet. Ganesha, with the help of Vedic Astrology, predicts what lies ahead for the young CM of Maharashtra, and how well he will be able to cope with the challenges in store for him. 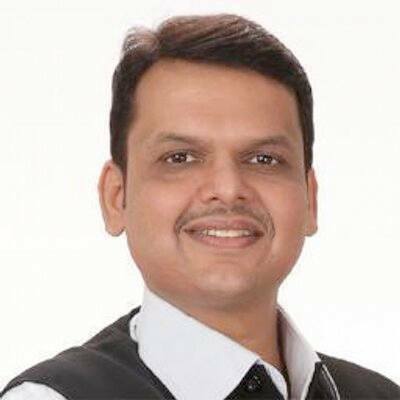 The Sun is placed with Mars and Mercury in the Zodiac Sign Cancer in Devendra Fadnavis' Surya Kundli. Also, the Sun is in the Leo Navmansa. So, it is likely that Mr. Fadnavis understands the ground realities well, and may also have excellent leadership qualities. His personal magnetism can also be attributed to these planetary aspects. Saturn is the Atmakaraka planet in Mr. Fadnavis' Solar Chart, which is said to be a good for any politician or person belonging to this field. Jupiter is aspecting the Saturn in his Chart, which forms a Rajyoga. Plus, there is a conjunction of Mars and Mercury in the young CM's Solar Chart, which make him a good orator. Currently, the transiting Jupiter (moving through Sign of Cancer) is moving over Mr. Fadnavis' Natal Sun, Mars and Mercury. This implies that he will be able to control and manage both the State politics and the strong opposition efficiently. Given Jupiter's effect, it is also likely that Maharashtra's new CM will be able to infuse a new enthusiasm in the state (Maharashtra) level Bhartiya Janata Party group. Fadnavis may make effective changes in the overall State governance and functioning. A look at Mr. Fadnavis' Oath Taking (as the CM) Chart also suggests that the finances of the State of Maharashtra will be managed well under the leadership of the new CM. However, the young turk may face problems in managing media and related spheres, during his tenure. He will also find it difficult to get along well with his senior cabinet colleagues and opposition parties, which may will keep bothering him. Also, on one hand, it is likely that he will have a strong influence on the State policies, specifically in regard to future. But on the other hand, he will face resistance from inside and outside, while implementing his ideas and policies. Nonetheless, Mr. Devendra Fadnavis looks all set to create development oriented policies, many of which may also be focused on trade, trade negotiations and FDI. With his efforts, he may also manage to attract the foreign investments. He, in all likelihood, shall also stand by his words and commitments. Overall, it is also visible that the Maharashtra government under Fadnavis leadership will be able to maintain a clean image. However, chances of one or two controversies, denting CM's image to an extent, cannot be ruled out. Stars reveal that Mr. Fadnavis' first and major challenge will emerge around April 2016. During this time, though he will be able to manage the situations efficiently, he will face considerable trouble. But, after completing 2.5 years from now, Saturn's transit through Sagittarius (beginning early 2017) and Rahu's transit through the Zodiac Sign Cancer may bring major challenges for Devendra. It may even be one of the most critical periods for him as the Chief Minister of Maharashtra. All in all, Ganesha assures that the young gun, Devendra Fadnavis will be able to make a mark on the Maharashtra politics, through his efficient governance and thoughful welfare schemes.